Two teenage Limerick brothers, one of whom has yet to even done his Leaving Cert yet, have become millionaires after selling their fledgling software company. Auctomatic, which provides software for heavy users of eBay, is being sold to Canadian firm Live Current Media for more than €3m. 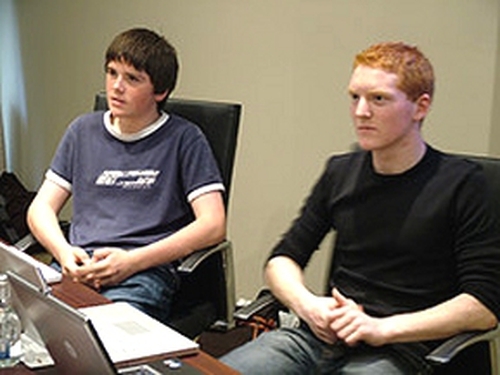 19-year-old Patrick Collison, a former Young Scientist of the Year, and his 17-year-old brother John set up the company early last year in Limerick. They were unable to secure funding from Enterprise Ireland, and relocated it to California last summer after getting support from an investment company based in Silicon Valley, called Y Combinator. On the advice of their US investors, the company merged with a similar UK-based start up. The publicly quoted Canadian firm, Live Current Media, has now paid over €3m for the company, in a deal finalised on Good Friday. Patrick will now travel to Vancouver in May to take up a position as director of engineering at the new owners. John will finish his Leaving Cert, but plans to spend the summer working for them too.